Observation - Ctenophora cranefly - UK and Ireland. Description: I think this is a Ctenophora cranefly, but I don't know which one. It looks rare! Seen ovipositing on a dead beech. I think this is a Ctenophora cranefly, but I don't know which one. It looks rare! 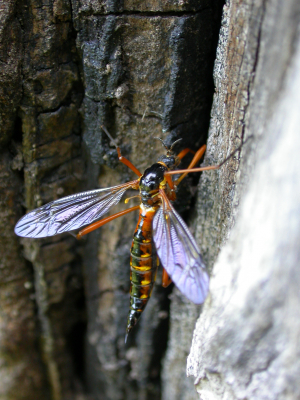 Seen ovipositing on a dead beech.